Here at Solar Action Alliance, our main goal is to inform consumers about residential solar energy. While that often means informative articles and information about solar pricing and tax credits, it also means finding and relaying the top solar companies. The solar world is full of companies that offer residential solar panel installations. Some of these companies are great. Others are not so great. Most people interested in installing solar on their home are not experts in either solar energy or solar panel installation. That’s why we’ve created our “Top Solar Companies” series. 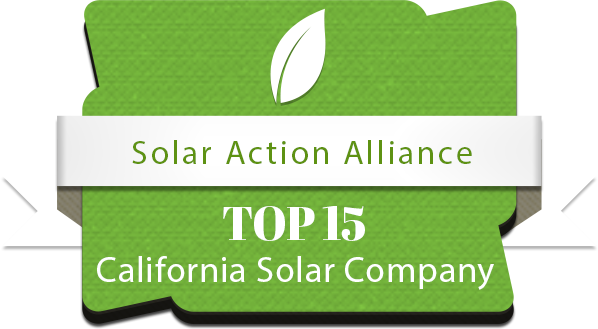 This chapter of our Top Solar Company series will feature companies that install solar in California. We attempted to find the best installers from each region in California. We have Northern California, Southern California, the Bay Area, Los Angeles, San Diego Area, Orange, Santa Cruz, Redding and more! Highlight Solar Bay Area Highlight Solar FB Page www.HighlightSolar.com They have a sterling reputation in the solar community. Known for great communication, solid prices, and for giving you options rather than trying to sell you the biggest system. Baker Electric Solar Southern California Baker Electric Solar FB Page www.BakerElectricSolar.com Known for having excellent agents who inform rather than push you into sales. Great choice in the San Diego area. Lifestyle Solar Northern California Lifestyle Solar FB Page www.LifeStyleSolarInc.com Have a reputation for seamless installs - hiding cables, matching paint, and just doing it right. Great choice in the Fresno area. AWS Solar Southern California AWS Solar FB Page www.AWS-Solar.com A very solid company that has a reputation of being extremely transparent and forthcoming with information about your solar installation. Great choice in the Los Angeles area. A company with an absolutely phenomenal reputation. From design to install, they are one of the best. Great choice in the Bay Area. Stellar Solar Southern California Stellar Solar FB Page www. StellarSolar.net A company known for having honest and helpful sales reps. In an industry where sales reps can be pushy or unhelpful, this is something we really look for in companies we recommend! Great choice in the San Diego area. Save A Lot Solar Bay Area Save A Lot Solar FB Page www.SaveALotSolar.com Save A Lot Solar, well, saves you a lot on solar. They are known for really low prices to go along with fantastic customer service. Great choice in the Bay Area. New Day Solar Southern California New Day Solar FB Page www.NewDaySolar.com Have a reputation for being honest and transparent, plus their owners are know to be very involved and care about more than just the money. Great choice in Riverside and San Diego counties! Clean Solar Bay Area Clean Solar FB Page www.CleanSolar.com Clean Solar is known for being extremely helpful and transparent through the entire process - a great choice in the Bay Area. Ameco Solar Southern California Ameco Solar FB Page www.SolarExpert.com Ameco Solar is known for having very reasonable prices and providing top-notch customer service. Great option for the Los Angeles Area. Suns Up Solar Northern California Suns Up Solar FB Page www.SunsUpSolar.com Has a reputation for doing really quality work on installations and providing fantastic customer service. Awesome choice in the Santa Cruz area. Infinity Solar Southern California Infinity Solar www.InfinitySolar.net A company known for being great across the board: pricing, communication, and quality of work all get stellar reviews. Great choice in the Orange area. Top Hat Energy Northern California Top Hat Energy FB Page www.TopHatEnergy.com A company that is very well-educated in solar and passes that education on to their customers. Great choice in the Redding area. Sun Line Energy Southern California Sun Line Solar FB Page www.SunLineEnergy.com A very popular company known for competitive pricing and expertise in all things solar. A great choice in the San Diego area.